Annie Machon is a former intelligence officer for MI5, the UK Security Service, who resigned in 1996 to blow the whistle on the spies’ incompetence and crimes. As the old media pro­pa­ganda battle inev­it­ably heats up around the Edward Snowden case, I stumbled across this little Amer­ican news gem recently. The premise being that poten­tial whis­tleblowers are now deemed to be the new “insider threat”. Well, the US spooks and their friends have already had a pretty good run through the “reds under the bed” of McCarthy­ism, polit­ical sub­vers­ives, illeg­als, Muslims and “domestic extrem­ists”, whatever the hell that really means leg­ally. Now they’ve hit on another threat­en­ing cat­egory to jus­tify yet fur­ther sur­veil­lance crack­downs. What’s in a name.…. Firstly, this is old news resur­rec­ted in the wake of the Edward Snowden dis­clos­ures to scare people anew. Way back in 2008 the US gov­ern­ment wrote a report about “insider threats” and the per­ceived danger of the high-tech pub­lisher Wikileaks and, in early 2010 the report was leaked to the very same organisation. In 2008 the US gov­ern­ment strategy was to expose a Wikileaks source so that oth­ers would be deterred from using the con­duit in future. 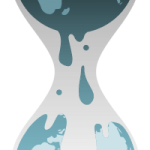 Well that didn’t hap­pen — Wikileaks tech­no­lo­gic­ally out­paced the lum­ber­ing, bru­tish might of the US and syco­phantic West­ern intel­li­gence agen­cies. The unfor­tu­nate Brad­ley Man­ning was exposed by an FBI snitch,Adrian Lamo, rather than from any tech­nical fail­ure of the Wikileaks sub­mis­sion system. What did occur was a mus­cu­lar dis­play of global cor­por­at­ism, with nation after nation capit­u­lat­ing to take down the Wikileaks site, but mir­ror sites sur­vived that poin­ted to Switzer­land (which has a strong tra­di­tion of dir­ect demo­cracy, self defence and free speech and which remains stead­fastly inde­pend­ent from inter­na­tional dip­lo­matic circle jerks the UN, NATO, and such like. On top of that, all major fin­an­cial chan­nels stopped dona­tions to Wikileaks — an act now been deemed to be mani­festly illegal in some countries. Now, in the wake of the Man­ning and Snowden dis­clos­ures, the US main­stream media appears, inev­it­ably, to be try­ing to con­flate the cases of known trait­ors with, you’ve guessed it, bona fide whistleblowers. Cases such as Ald­rich Ames and Robert Hanssen, who betrayed their coun­tries by selling secrets to an enemy power — the Soviet Union — in an era of exist­en­tial threat. They were trait­ors to be pro­sec­uted under the US Espi­on­age Act (1917) — that is what it was designed for. This has noth­ing what­so­ever to do with the cur­rent whis­tleblower cases and is just so much basic neuro-linguistic pro­gram­ming. *Yawn*. Do people really fall for that these days? This is a tired old tac­tic much used and abused in the offi­cially secret UK, and the USA has learned well from its former colo­nial mas­ter — so much for 1776 and the constitution. How­ever, in the CBS inter­view men­tioned above it was subtly done — at least for a US broad­cast — with the com­ment­ator sound­ing reas­on­able but with the imagery telling a very dif­fer­ent story. In my view this con­fla­tion exposes a dark hypo­crisy at the heart of the mod­ern military-security com­plex. In the old days the “good­ies” and “bad­dies” were simplist­ic­ally demarc­ated in the minds of the pub­lic: free West good; total­it­arian East bad. This fol­lowed the main­stream pro­pa­ganda of the day, and those who worked for the oppos­i­tion — and the Soviet Union gave the US/UK intel­li­gence axis a good run for its money — were pro­sec­uted as trait­ors. Unless, of course, they emerged from the rul­ing class, when they were allowed to slip away and evade justice. And of course many of us remem­ber the scan­dal of the Rus­sian spy ring that was exposed in 2010 — many indi­vidu­als who had illeg­ally been infilt­rated into the US for dec­ades. Yet, when they were caught and exposed, what happened? A deal was struck between the US and Rus­sia and they were just sent home. No such lib­er­al­ity is shown to true modern-day whis­tleblowers. Quite the oppos­ite, with the UK and the US will­ing tobreach all estab­lished dip­lo­matic pro­to­cols to hunt down their quarry. This des­pite the fact that the whis­tleblowers are lib­er­at­ing inform­a­tion about the illeg­al­ity of our own gov­ern­ments to empower all of us to act as informed cit­izens, and des­pite the fact that they are expos­ing global-level crimes. Brad­ley Man­ning and Edward Snowden have risked their lives to expose the fact that we are liv­ing under a global police state and that our mil­it­ary and intel­li­gence agen­cies are run­ning amok across the planet, with CIA kill lists, rendi­tions, tor­ture, wars, drone strikes and dirty tricks. Well, no. But it is sud­denly full of a new digital gen­er­a­tion, which has grown up with the assump­tion that the inter­net is free, and which wants to guar­an­tee that it will remain free without Big Brother watch­ing over their shoulders. Tal­en­ted indi­vidu­als who end up work­ing for the spy agen­cies will inev­it­ably be per­turbed by pro­grammes such as PRISM andTEMPORA. Law­yers, act­iv­ists and geeks have been warn­ing about this for the last two decades. By 1911 the UK had already put in place not only the proto-MI5, but also then added the first Offi­cial Secrets Act (OSA) to pro­sec­ute real trait­ors ahead of the First World War. The UK updated the OSA in 1989 spe­cific­ally to sup­press whis­tleblow­ing. The US has learned these legal sup­pres­sion les­sons well, not least by shred­ding its con­sti­tu­tion with the Pat­riot Act. How­ever, it has neg­lected to update its law against whis­tleblowers, fall­ing back instead onto the hoary old 1917 Espi­on­age Act — as I said before, more times in the past five years than over the last century. This is indeed a war on whis­tleblowers and truth-tellers, noth­ing more, noth­ing less. What are they so afraid of? Ideal­ists who believe in the old demo­cratic con­sti­tu­tions? The Uni­ver­sal Declar­a­tion of Human Rights and other such fuddy-duddy concepts? The answer to that would logic­ally be a resound­ing “yes”. Which leads to another ques­tion: what about the nation states — China, Rus­sia, Iran — that we have been told repeatedly over the last few years are hack­ing and spy­ing on us? The phrase “pot and kettle” springs to mind. There are no good­ies and bad­dies any more. Indeed, all that remains is out­right and shock­ing hypocrisy. Snowden has laid bare the fact that the US and its vas­sals are the most flag­rant prot­ag­on­ists in this cyber­war, even as our gov­ern­ments tell us that we must give up basic human rights such as pri­vacy, to pro­tect us from the global threat of ter­ror­ism (while at the same time arm­ing and fund­ing our so-called ter­ror­ist enemies). Yet whis­tleblowers who bravely step up and tell us our gov­ern­ments are com­mit­ting war crimes, that we are being spied on, that we live under Orwellian sur­veil­lance, are now the people being pro­sec­uted for espi­on­age, not the “real” spies and cer­tainly not the war criminals. Er, per­haps someone who does not want to col­lude in the most stark examples of global war crimes and illegal sur­veil­lance? And per­haps someone who believes that the Uni­ver­sal Declar­a­tion of Human Rights was set up for a reason after the hor­rors of the Second World War? When the rule of law breaks down, who is the real criminal? What we are wit­ness­ing is a gen­er­a­tional clash, not a clash of ideo­lo­gies. The old­sters still be believe in the Cold War nar­rat­ive (or even “cow­boys and Indi­ans”?) of good­ies, bad­dies and exist­en­tial threats. The digital gen­er­a­tions have grown up in the wake of 9/11 and all the asso­ci­ated gov­ern­mental over-reaction — war crimes go unre­por­ted and untried, real civil liber­ties are an his­toric arte­fact, and the global pop­u­la­tion lives under Big Brother sur­veil­lance. Why on earth is any­one, really, sur­prised when young people of hon­our and ideal­ism try to take a stand and make a difference? We should be more wor­ried about our future if the whis­tleblowers were to stop com­ing forward. ← #Hague gives rebels in #Syria chemical weapon protective equipment – what a moron!